Download TapTokens and activate your free 7-day trial membership when you subscribe! Your $4.99/mo subscription gets you 4 Tokens a month at EVERY brewery in our network. Each Token gets you one half-off beer. Yep, that’s four Tokens at every brewery… so if your city has 10 participating breweries, you get 40 half off beers every month. Your subscription literally pays for itself if you use it just twice a month! Travel a lot? Take us on the road with you… when you’re in a city with participating breweries you get all the same app features, membership benefits, and exclusive offers from the best locally-owned and operated craft breweries so you can drink like a local wherever you go. 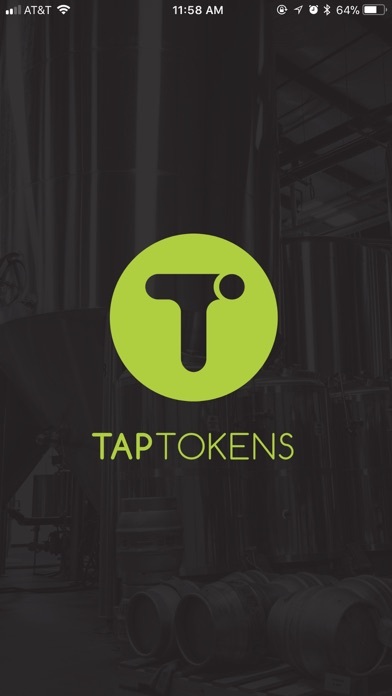 TapTokens supports only the finest locally owned and operated craft beer breweries. Support local. Live high-tech. Drink unique… And SAVE! Free App Features -	Search for breweries in our network -	Check out their tap list and read their beer descriptions -	Get one-click directions to participating breweries -	Find local beer-related events that our breweries are hosting or participating in Paid Membership Benefits -	Redeem Tokens for HALF OFF CRAFT BEER -	All your Tokens auto-renew monthly… your 50% off beer never runs out! -	Get exclusive offers and discounts for members only Download TapTokens and activate your FREE 7-day trial membership when you subscribe. Subscription is super simple; it’s managed right in the App Store, it automatically renews, and you can cancel anytime. 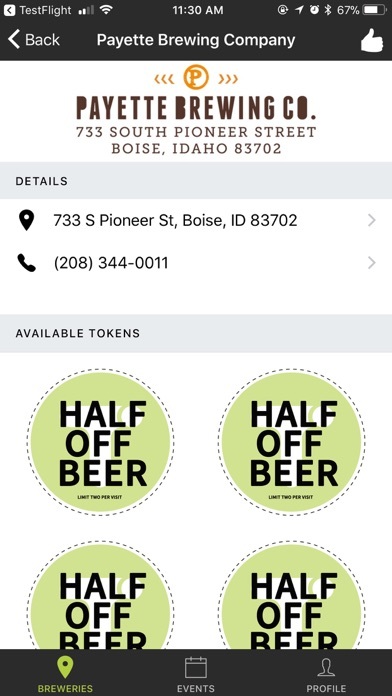 TapTokens is currently operating in Boise, ID with plans to expand to other beer-loving cities in the not-to-distant future; keep an eye on our website or social media to see when we come to your city! Remember, this app is intended to be used by adults 21 and older who enjoy craft beer responsibly. Cheers! 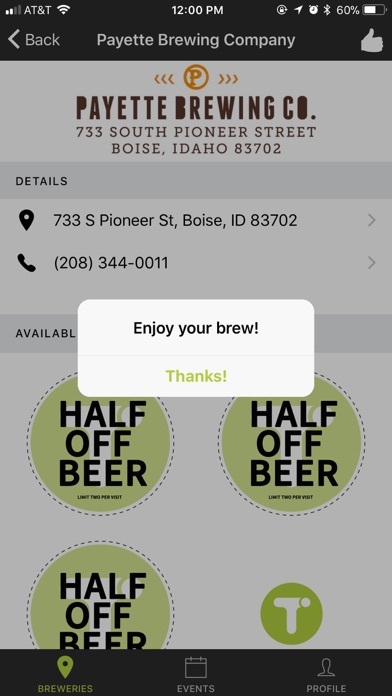 I visited a local brewery and learned about the app. I downloaded it and was initially impressed but I since have been charged and my token for the discount beer have not been refilled like the app promises. Also, the details specify 4 tokens per brewery per month and I have only received 2. I emailed the only email on the site available 7 days ago and have yet to get a response. 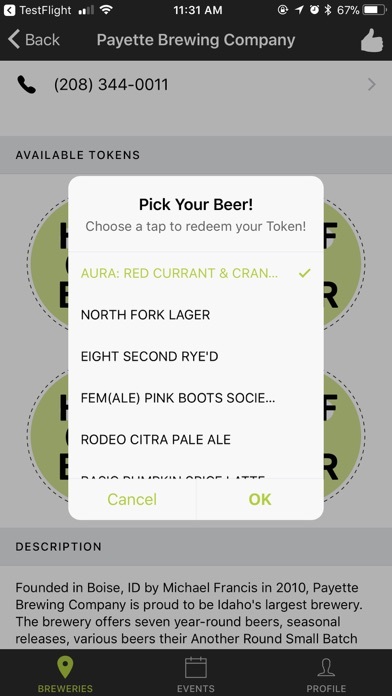 Taptokens is a great app to help me try new local beers, and save money. I love going to breweries, and tap tokens just makes doing that earlier and cheaper. Using it is a no brainer. This app is pretty sweet for what it is so far. You actually get free beers (2for1) with your membership. 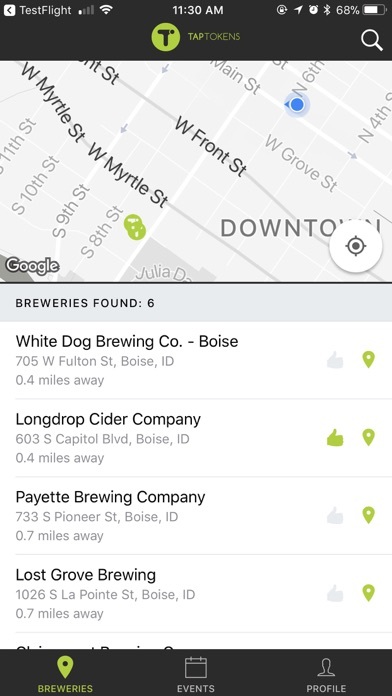 Cool way to find local breweries and keep track of the beers you like. I see breweries on here that I didn’t even know existed. Looks like they are just starting out and will be expanding to other cities. I used it once so far and the free beer I got basically paid for my membership. Worth the 5 bucks a month!! Soooo happy with this app! What’s better than beer? FREE BEER! This app shows me which breweries are participating in my area and $5 is well worth it with all the free stuff I get when I go out with my friends! If you’re thinking about it JUST DO IT! It’s worth a try!